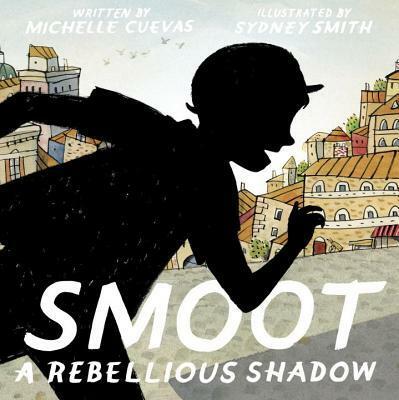 A brave shadow finds a more colorful life in this joyous picture book by the acclaimed author of The Uncorker of Ocean Bottles and illustrator of Sidewalk Flowers. Smoot the shadow has been living a yawn-filled life for years. His boy never laughs and never leaps, so Smoot never does either . . . until the day he pops free, and decides to hit the road in search of the life he dreams about. And as he enjoys his first colorful day--singing, dancing, and playing--other shadows watch him, and they become brave, too. The frog's shadow takes the shape of a prince, the dragonfly's shadow that of a dragon. Even the rock's shadow gets in on the excitement. But what will become of the timid beings their shadows have left behind? Will they finally be inspired to find their own daring? Michelle Cuevas graduated from Williams College and holds a master of fine arts degree in creative writing from the University of Virginia. She lives in Massachusetts. Sydney Smith was born in Nova Scotia and has a BFA in drawing and printmaking from NSCAD University. He is an award-winning children's book illustrator whose work can sometimes also be found in magazines and on festival posters and album covers. Sydney also plays a little banjo, stands on his hands, and can ride his bike really fast. He lives in Toronto, Ontario, with his wife and baby son.